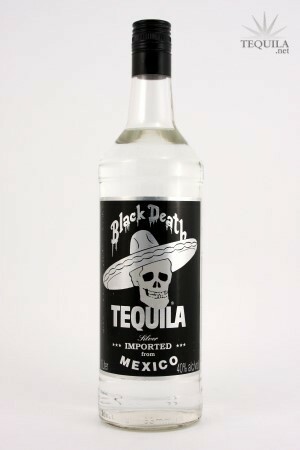 Black Death Tequila Silver, said to be the brand of choice of "Slash", guitarist from Guns N' Roses along with their Vodka product in the mid to late 90's. 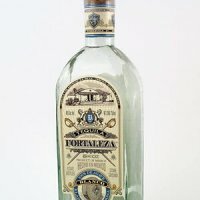 Black Death Tequila was produced at Tequila Eucario Gonzalez distillery. The bottle displayed here is 1 liter, and was produced for Black Death U.S.A. This is a line extension of the "Slash" endorsed Black Death Vodka I presumed when I found the botle in the close out bin of a liquor store in Santa Monica. Black Death is indeed a proper name as it was terrible, even for a mixto. Very bitter and fumes that resembled gasoline. I am sory, even lime juice couldn't make it better, I had to dump a cup of sugar in the blender and use it for blended margaritas. I don't know what the regular retail is but I bought it for $8 so my price rating is a bit irrelevant.